MEXICO CITY -- The Canadian and Mexican governments are pressing the United States to explain its auto proposal at the current round of NAFTA talks. Those countries are not making a counter-offer to the plan, but will instead demand details on how it would work and deliver a presentation on how they believe such an idea would harm the United States. They say parts of the U.S. plan lack basic clarity. 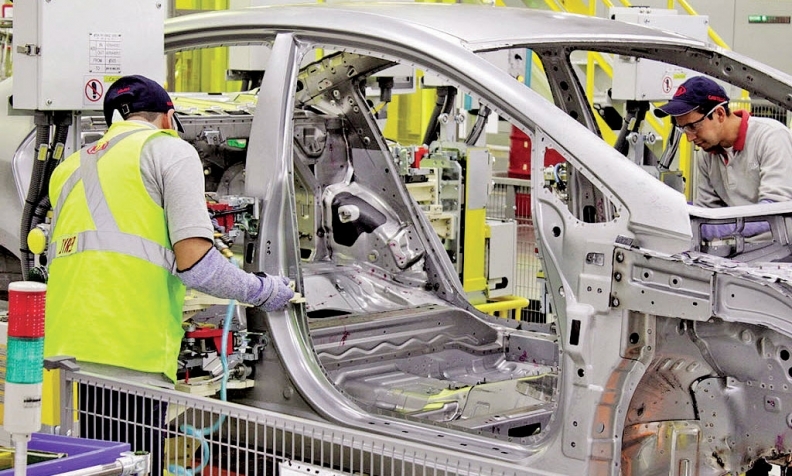 During the last round of talks, the U.S. stunned its partners with a demand that auto companies quickly transform their supply chains to benefit U.S. parts suppliers, and that the formula for calculating a car's origins be expanded to include raw materials. One stakeholder advising the Canadian government says the proposal was written in vague language, without a hint of how to apply it. Flavio Volpe of the Auto Parts Manufacturers' Association cites the examples of windshields and plastic components, which are made of sand, oil, and — going back further — carbon-based life forms that died in the soil millions of years ago. "So if I'm a glass-maker, my raw material is sand. How am I going to trace [where] sand [comes from]?… Do you do that on the granule level? Do you do it by bag? Or do you have to send a picture of the beach?" Volpe said. "So I think it's important we get some technical advice from the experts at (the U.S. Trade Representative) on how exactly we're going to do that... A lot of plastics are petroleum-based. So what's the methodology there — are we tracing back to bitumen, are we tracing back to sweet crude? "When you say you're going back to the base raw materials that's what you're talking about. So when did the dinosaurs die? And where did they die? And can we claim ownership of that?" Critics of the U.S. proposal say it's so unworkable it will merely shift production to Asia, and encourage them to simply pay an import tariff. Multiple sources say the Canadians want to press the U.S. to refine its own offer on autos, before making a counter-proposal. Canadian officials have noted the internal U.S. opposition to the American proposal, including from six-dozen American lawmakers who wrote a letter last week blasting it. The group discussing auto parts is meeting today and tomorrow, when the Mexico round wraps up. Officials from Canada say the current round has seen some progress on less-controversial chapters like digital trade but none on the hardest issues — where Canada and Mexico have refused to counter the most controversial American positions.